Failed back syndrome is a generalized term used to describe patients who have not successfully recovered from their back or spine surgery. These patients tend to experience pain after their surgery, and this pain is continuous. After spine surgery, the mechanisms of the spine will change causing post-surgical effects such as wear-and-tear and potential pain. Another effect of a back or spine surgery is tissue damage which occurs after the surgery takes place. This tissue damage can trap nerves, causing the patient to feel tightness and pain after the procedure is complete. Symptoms for the failed back syndrome include experiencing new pain in an area different from the location that was treated, restricted mobility, a sharp stabbing back pain, numbness in the back, back spasms, anxiety, depression, and sleeplessness. Pain can be caused by several factors including failure to decompress a nerve root, spinal fusion failure, implant migration, scar tissue formation, and nerve damage caused by decompressing a nerve root through spinal surgery. If your chronic pain lasts several weeks or months following your procedure it is important to look into minimally invasive surgery options, such as decompression and stabilization surgeries. Stabilization surgery treats patients with the failed back syndrome who have undergone a traditional spinal fusion or have had severe damage to the spine. 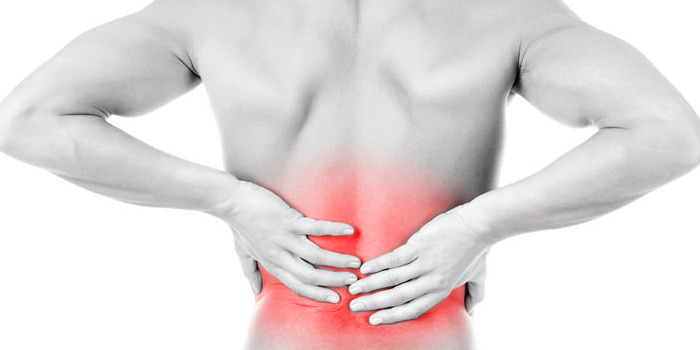 When treating for the failed back syndrome, it is important to treat pain in a systematic way. Each pain generator must be diagnosed to restore function and eliminate pain. There are several tools available to treat pain, including manipulations, physical therapy, or medication. Stretching is also very helpful in relieving pain. It is important to immediately contact your primary care physician as well as the surgeon who performed the procedure to inform them of any pain. Your medical team will give you postoperative instructions following your procedure which must be followed in order to ensure you heal properly to avoid thefailed back syndrome. Failed back syndrome results in a patient experiencing a significant amount of pain. This can restrict their mobility making it difficult to walk and move around. A walking impairment would qualify for the disability tax credit program. Walking impairments mean that it takes an inordinate amount of time to walk even with appropriate therapy, medication, and devices. For example, these devises include canes and walkers. How To Apply for Disability Tax Credit for Failed Back Syndrome? A walking impairment causes fatigue, ataxia, lack of coordination, and balancing difficulties. These episodes cause you to be unable to walk, or incapacitated for several days at a time. To apply, our experts will assist you in filling out form T2201 where you will need to get your medical practitioner to complete this form. This will ask your doctor to describe how you are impaired by your disability. It is important to be descriptive in this section as a patient can be affected in a variety of ways by Failed Back Syndrome.